The holidays are upon us and, if you’re like me, you are looking forward to welcoming friends and families to stay with you during this magical season. Whether you have guests coming for a night or for a week, it is important to provide them with a beautiful and peaceful space where they can rest and feel welcome. Always start with fresh linens. Whether guests are enjoying their own designated space or taking over another family member’s room, remember to provide them with fresh, crisp linens. I always like to keep a set of white sheets just for guests and take them out whenever we have company. Pine Cone Hill’s Embroidered Hem sheets are a perfect choice. You can add a new quilt to fold down at the bottom of the bed or simply use one you have and add a fresh throw and accent pillows for a pop of color or a holiday splash. 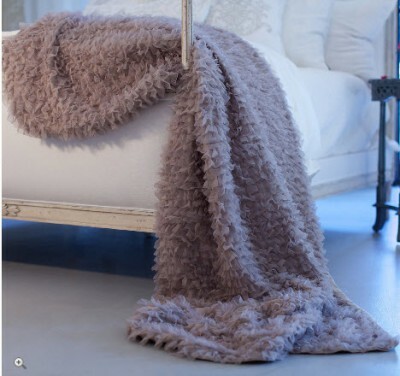 For true luxury during the holidays, add a Lili Alessandra Coco Throw. Guests can use it for extra warmth or to cozy up with a good book after the holiday festivities wind down. Chocolates and bottled water are always a nice extra touch. Another wonderful way to make your guests feel at home in your home is by putting together a welcome basket full of need to and nice to haves. You can also use a tray, placed on the bed and filled with hand-picked items. Pigeon and Poodle’s Hilo Tray is a perfect choice with a clean, simple look and year round versatility. Your guests will feel spoiled and it will set the tone for a great visit. I include items they may have forgotten, like toothbrushes, lotion, etc. 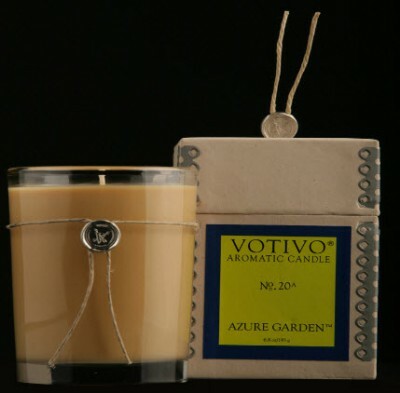 and add in some special and unique items as well like Barefoot Dream’s Malibu Luxe Soy candles or any of Votivo’s Aromatic candles. Fresh flowers add an elegant and thoughtful touch any room. 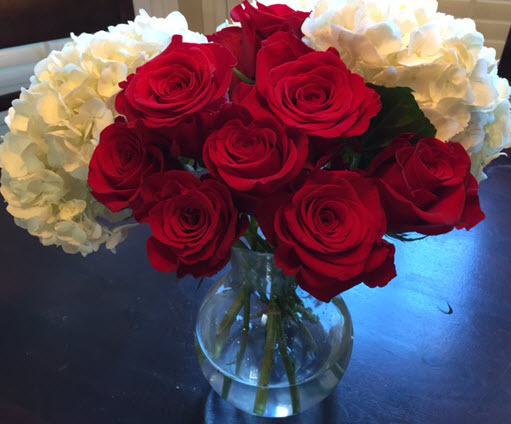 Choose colors for the holidays and flowers that last and will stay fresh through your guests’ stay. Cut flowers, placed in vase beside the bed are perfect. Wishing you a holiday filled with peace and joy.